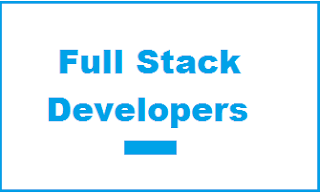 As a Full Stack Developer you are responsible for understanding our Enterprise Asset Management End to End services and deploying in x-functional team's architecture and micro services with development skills and critical thinking. 7+ years of experience in Java based Enterprise Web Application Development. - Object-oriented design and development (OOA/OOD), J2EE framework and data architectures. - Agile methodology, experience building large, scalable E-commerce applications. This opening is a referral drive. If you don't find someone to refer you in IBM and you have the required skills and experience, please place your details in the comments section of this page in the below format.